I have done various glass jar and glass bottle decoupage project. Now it’s time for a crochet decoration and upcycling idea for a glass jar for my kitchen. I love to have handmade and upcycled things in my home. They do turn your house into a home, don’t they? I had this nice little jar with the lid for it. 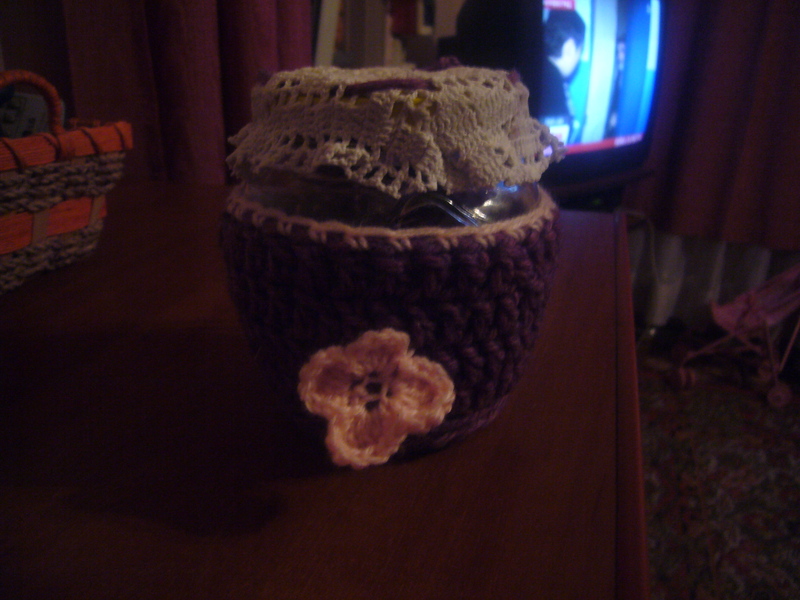 So, I crocheted a cover for it, sort of a crocheted vase to match the jar. 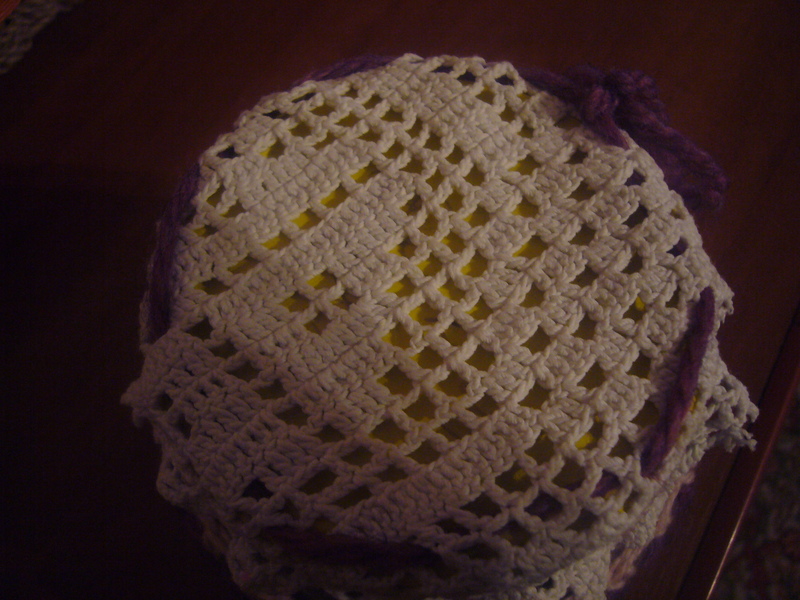 I have also crochet a flower for it. 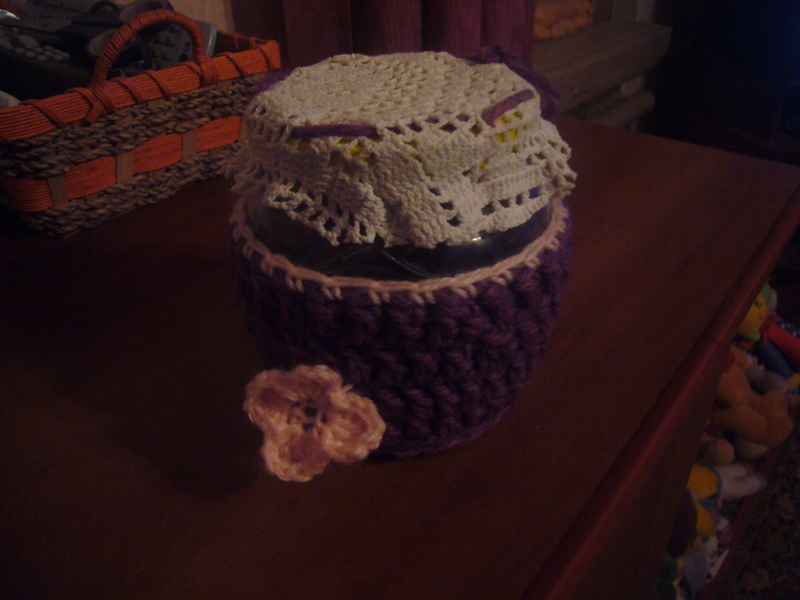 Plus I have decorated the jar lid with a piece of old and vintage looking lace. I had to pull a thread through the holes in it and then I glued the lace to the lid using super glue. Now once I have upcycled this little glass jar I can keep my tea in it. It took me less than an hour to fix and decorate the jar for my kitchen. This entry was posted in Crocheting and tagged crafts, creative tips, creativity, crochet, Crochet glass jar, crocheting, decoupage, DIY, glass jar, glass jar decoration, green living, handmade, home decor, housekeeping, things for home, tips for moms, upcycling. Bookmark the permalink.